A jewel-like Ottoman mansion, on the Datça peninsula, offering traditional Turkish hospitality with home comforts. Shaded by almond, olive and lemon trees, the mansion is a romantic getaway with beautiful, tastefully furnished rooms. April – October. Closed during the winter. 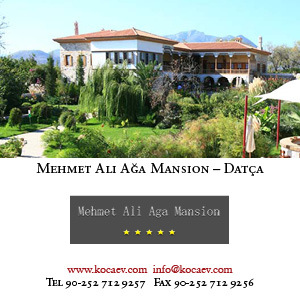 The Mehmet Ali Ağa Konak is one of the Cornucopia Hotel Collection’s most romantic retreats. Rupert Scott reviews a rare Ottoman gem. Coastal southwest Turkey, so rich in ruins, has disappointingly little to offer when it comes to Ottoman architecture. 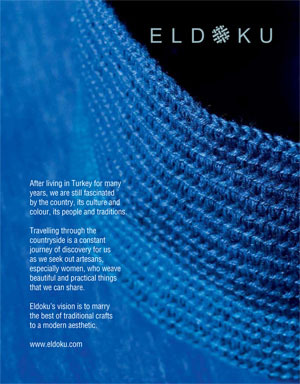 But there are a few exceptions and of these the most extraordinary, and also the most unexpected must be the Mehmet Ali Ağa Konaği in Reşadiye, near Datça. For the enthusiast of such things, arriving at the Mehmet Ali Ağa Konaği is like stumbling across a beautiful palm-fringed oasis after a very long parched trek through a very dry desert. This is a really very fine Ottoman Konak from the early 19th century, now restored to an 18-room hotel. The best five rooms are on the first floor, all opening off a wide and very pretty pillared loggia overlooking the Konak’s three-sided courtyard. These rooms are nicely furnished with some good mid-19th century pieces (a bed from the Yildiz Palace, for instance, and some fine mirrors) and have lovely views south-west towards the mountains and towards Symi. The bathrooms are wittily disguised as cupboards. The best room was of course the Aga’s. His Başoda is now the sitting room of the hotel’s principal suite. It is difficult to convey what a charming room this is. A low, simply embroidered, white sedir runs on three sides. There are muraled views of Istanbul, probably by a local artist and painted perhaps from memory, or perhaps from the verbal description of the Aga himself. The painting is naïve, provincial and enchanting. The ceiling is intensely decorated, and at its centre is a wonderful painted medallion that seems to spin as you lie back on the cushions of the sedir and look at it. Their other 13 new rooms are in an annexe that looks onto the hotel garden. These rooms are comfortable and well done, but not in the same league as the rooms in the Konak itself. There is a small private hamam in the old part of the Konak which can be used by special arrangement. The Mehmet Ali Ağa Konaği is the perfect base to explore the Datça peninsula, which has more to offer than just the famous ruins at the end of the peninsula. There is a swimming pool, a good chef and usually other friendly guests who have also decided to go ‘off the beaten track’ to this most surprising of hotels.